Ty Crogal Holiday Caravan is a 2 bedroom caravan with bed linen provided, just a hundred yards from the Cardigan Bay coastal footpath and from Birds Rock – a wonderful seabird colony where Guillemots, Razorbills, Cormorants and Gulls can be seen. 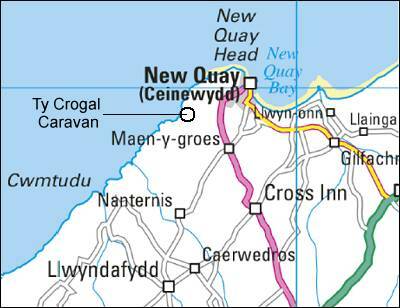 Back along the lane, it is just a few minutes walk from the Penrhiwllan Inn and Restaurant and a short distance from the centre of New Quay. There is a view to the south along the coast to Cardigan Island from the sitting room and deck. Dolphins can frequently be seen from the nearby coastal path or from New Quay. Regret no pets. Pay £35 part payment deposit by card. 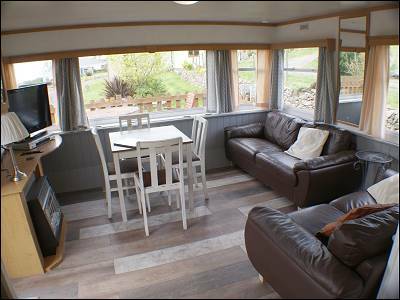 The caravan has a private decking area with table and chairs t. It is situated in its own private area of the owner's large garden. 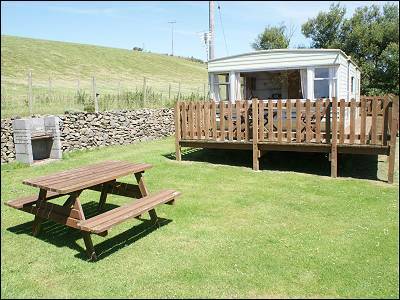 There is also a picnic bench on the grass beside the caravan and a charcoal BBQ. 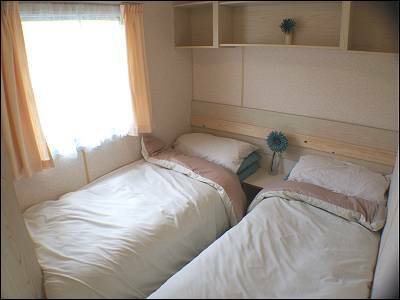 The caravan has 2 bedrooms – a double and a twin. Bed linen is provided. There is space for a travel cot. 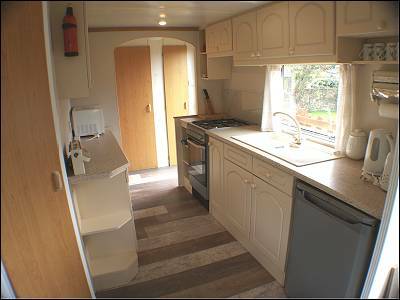 The caravan has a 32 inch flat screen TV and a dining area to seat four. The kitchen has a microwave, fridge, gas cooker and oven. There are no additional charges for gas or electricity. No smoking inside the caravan. 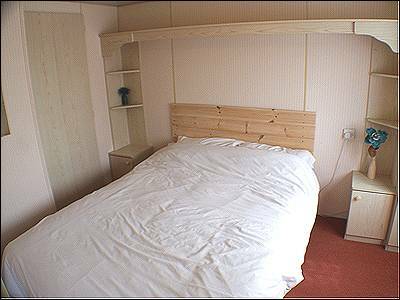 There is a shower room and toilet adjacent to the bedrooms, with doors to both the passage and the double bedroom. 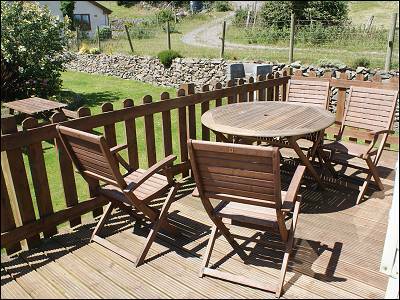 Outside - there is ample private car parking and private secluded garden area for caravan guests. 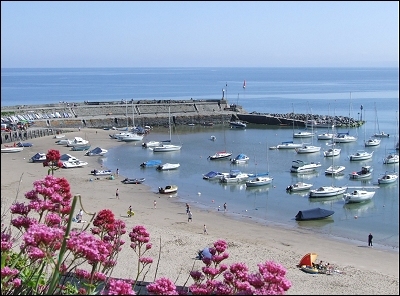 Just a few minutes drive in to New Quay for beaches, shops, restaurants, pubs and boat trips to see Dolphins. A booking is secured with a £35 deposit. Balance of payment to be paid to the owner 6 weeks before the holiday, or as soon as possible if within 6 weeks. Locality - There are lovely beaches, boat trips, fishing and shops, pubs and restaurants nearby, also easy access to the All Wales coastal path which now extends the length of the country, and from where you can often see Peregrines, Choughs, Red Kites, Seals, Dolphins and a wide variety of sea birds nesting on the cliffs. 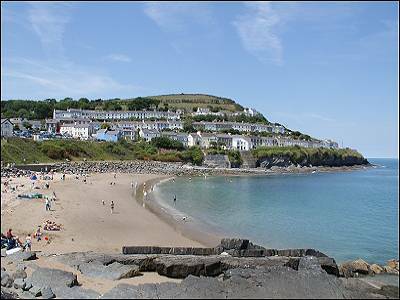 The coast south of New Quay.